Sweetly Paired has an inventory of signage that we are happy to rent to our clients, and any couple getting married! We also have custom sign options, just ask! 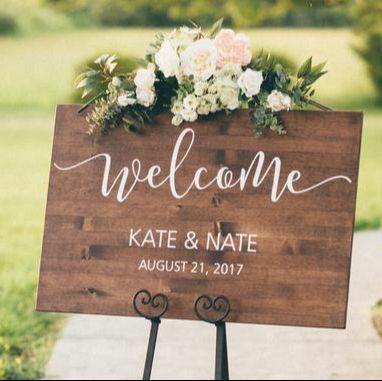 We're happy to supply you with a custom sign for your wedding. 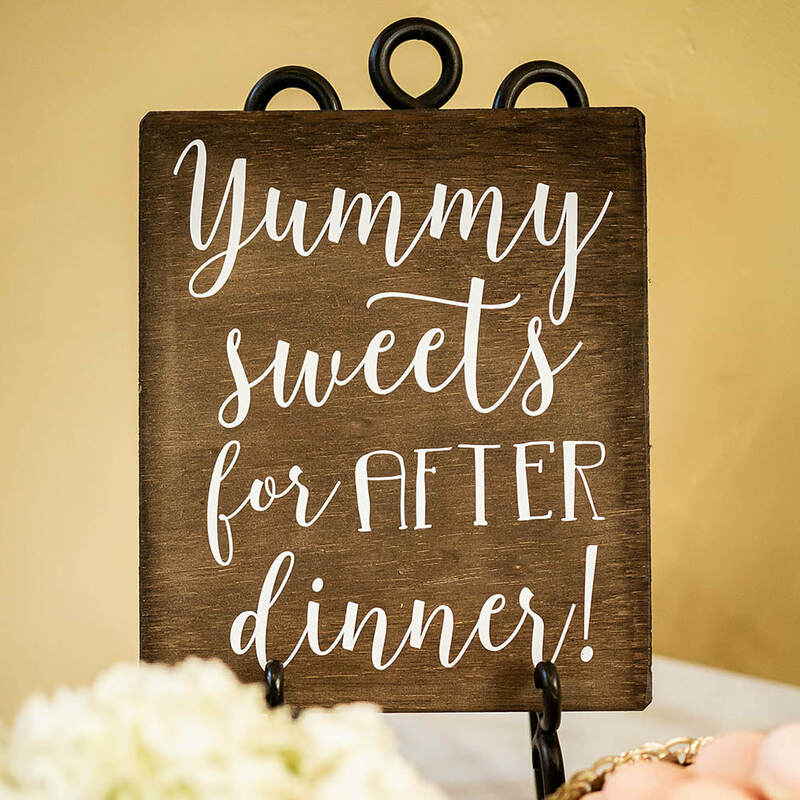 These signs are on wood that is stained a medium brown, with white vinyl lettering (NOT chalk marker, no messy lettering!). 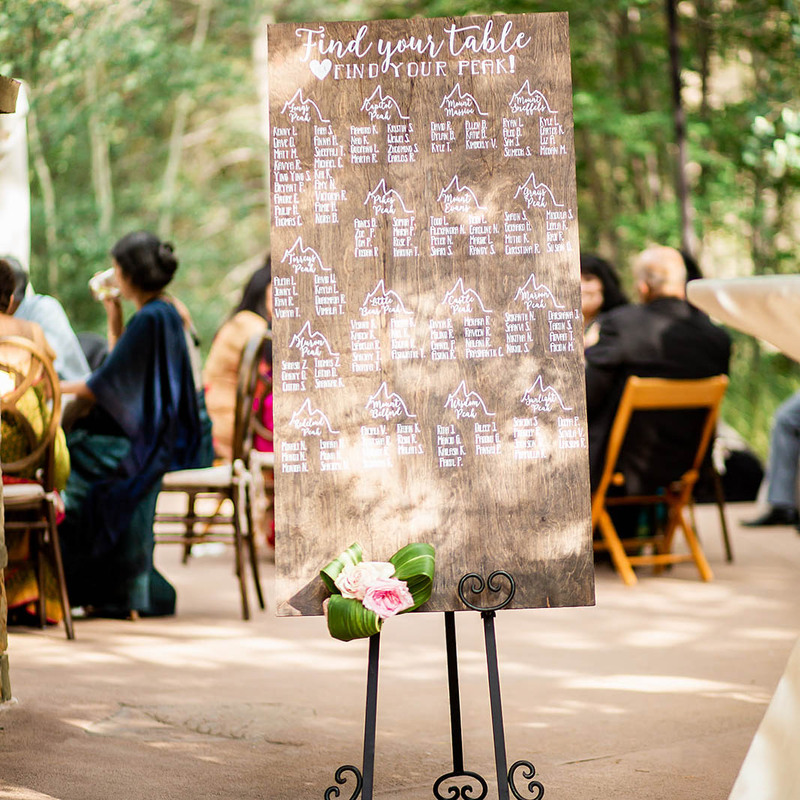 ALL signs come with Iron easel rental as needed - No extra charge! 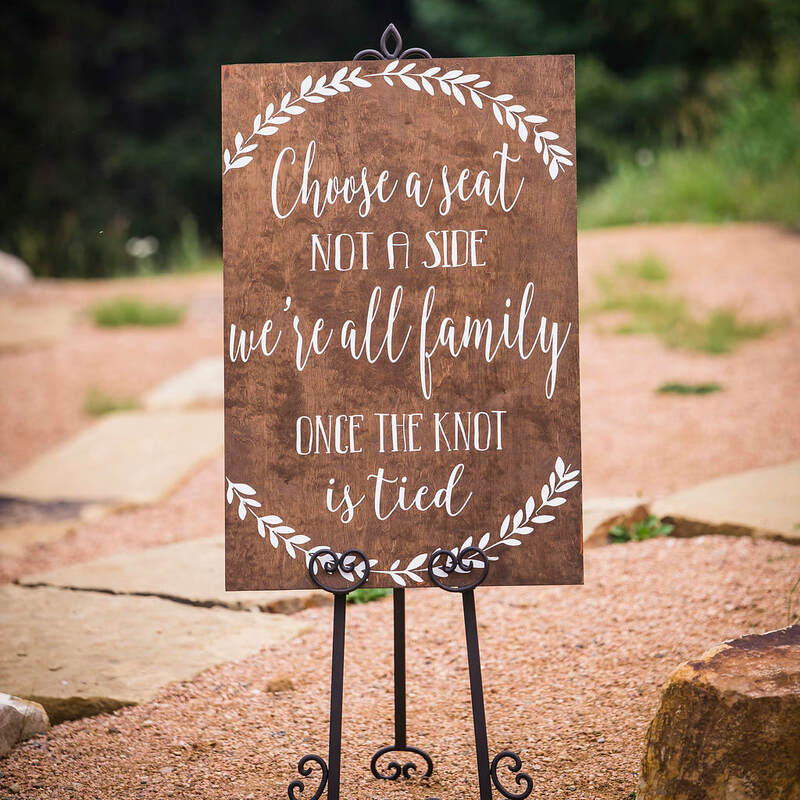 Choose a Seat, Not a side, We're All Family Once the Knot is Tied! 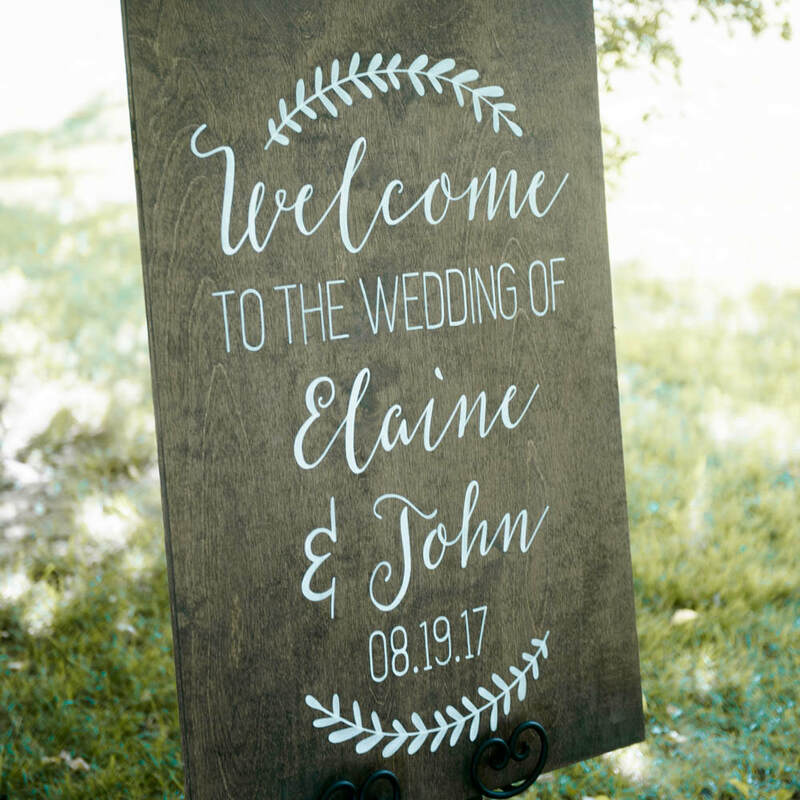 - Sign and Easel rental - $25 - 2'x4' sign - Great for ceremony aisles! 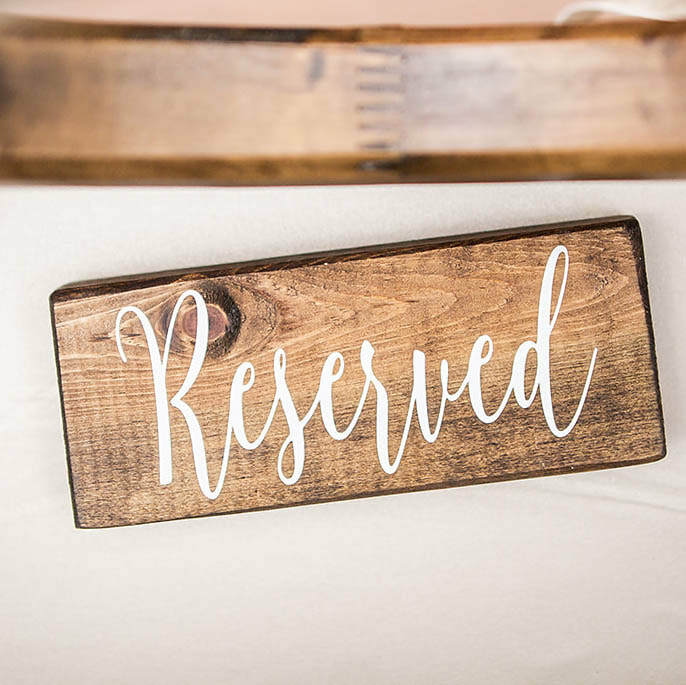 Wooden reserved seating sign for tables, ceremony chairs, etc. 3" by 5", thesy stand on their own on a seat or table. White vinyl lettering is crisp and readable. $2 to rent. 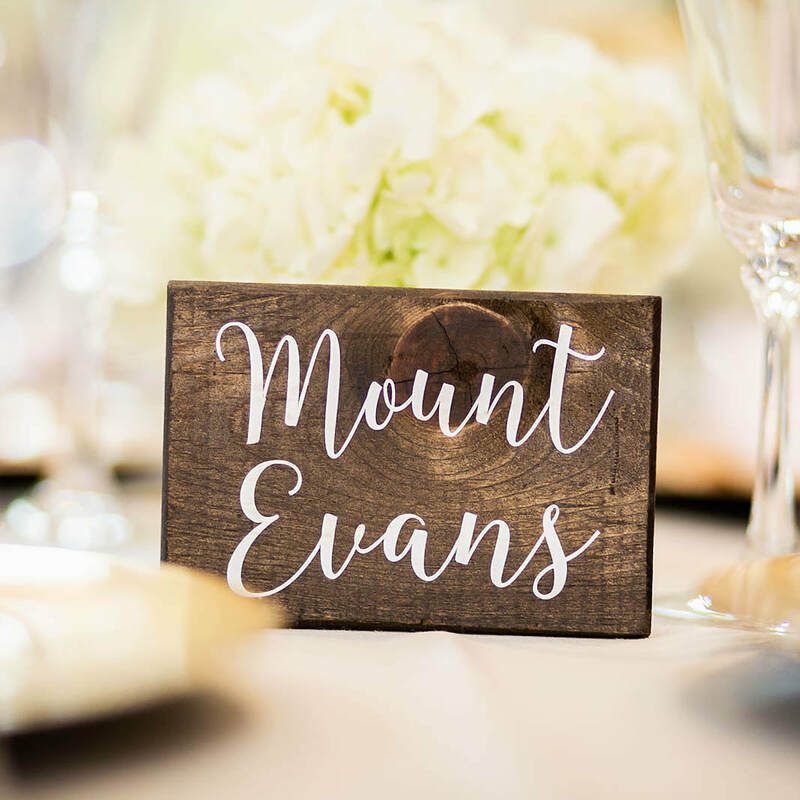 Name your tables after the 14'ers in Colorado - Mountain table names! 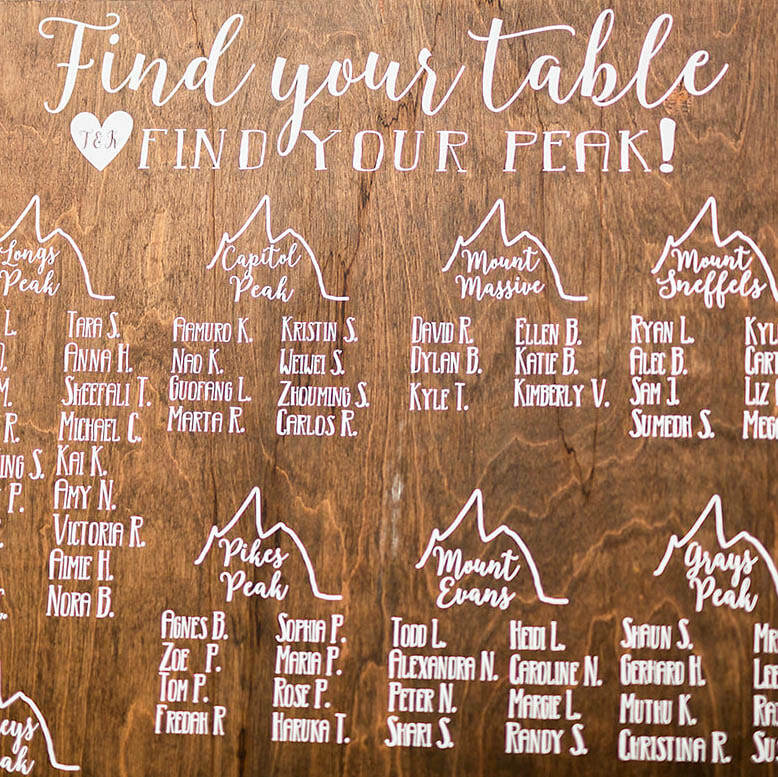 We have a large selection of the 14ers, and we're happy to help you with custom seating charts to make it easy for your peeps to find their seats! $2 each for rental.